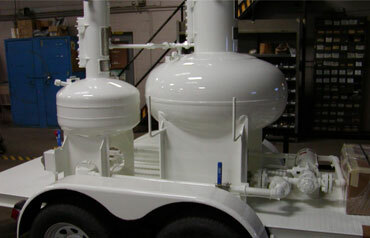 Arrow Tank and Engineering has a special permit authorizing them to manufacture, sell and use of a Non-DOT specification packaging described as a volumetric meter prover mounted on a trailer or truck in commerce of liquefied petroleum gas residue vapors. You, as an Arrow customer are authorized to use our special permit as long as you comply to all the terms and conditions of this special permit. Single or tandem axle trailer with ¼ tread plate deck, fenders, hydraulic or electric brakes , (3) leveling jacks, DOT lights, 2 inch ball coupler and spare tire. Many other options are available. 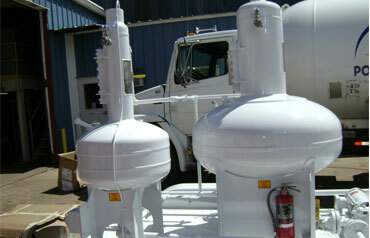 Arrow can mount all your prover equipment on the back of a truck for easy transport.